This website gives information about the literary work of Dr. Pablo Martinez and his father Rev. José M. Martínez. Through this work the christian thought of the authors flows covering a wide range of subjects; theological, psychological and ethical issues are considered from a biblical perspective with a relevant and practical application to current problems. 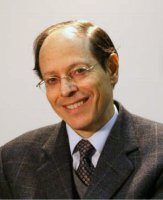 Dr. Pablo Martínez is a psychiatrist and he currently works at a private practice in Barcelona. He develops a valued ministry as lecturer and teacher in many European countries on topics like “Mind and faith”, “The therapeutic value of the Gospel in emotional problems” or “Taking care of yourself”. His books dealing with such issues have been translated into 16 languages. He teaches Pastoral Theology and his ministry as a Bible teacher is also very appreciated. He chairs the “Ravi Zacharias Foundation” in Spain and he is honorary president of the Grupos Bíblicos Universitarios (GBU - IFES). Rev. 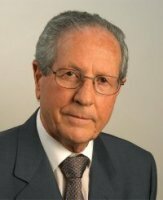 José M. Martínez has been pastor of a Baptist Church in Barcelona (Spain) for thirty years. He has developed a extensive activity as professor of biblical-theological subjects in the Evangelical Center of Bible Studies (CEEB) in Barcelona (Spain) and as president of this Center. He has also been president of the Spanish Evangelical Alliance (AEE), and has been member of the Board of Directors of the Bible Society and the Scripture Union.